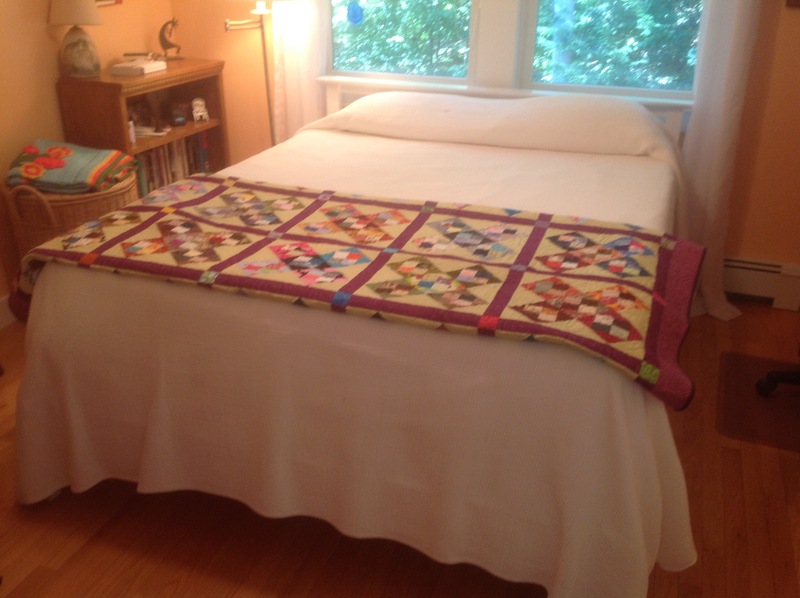 I finished the “Bee Beauty” Quilt. I have so loved working on it. 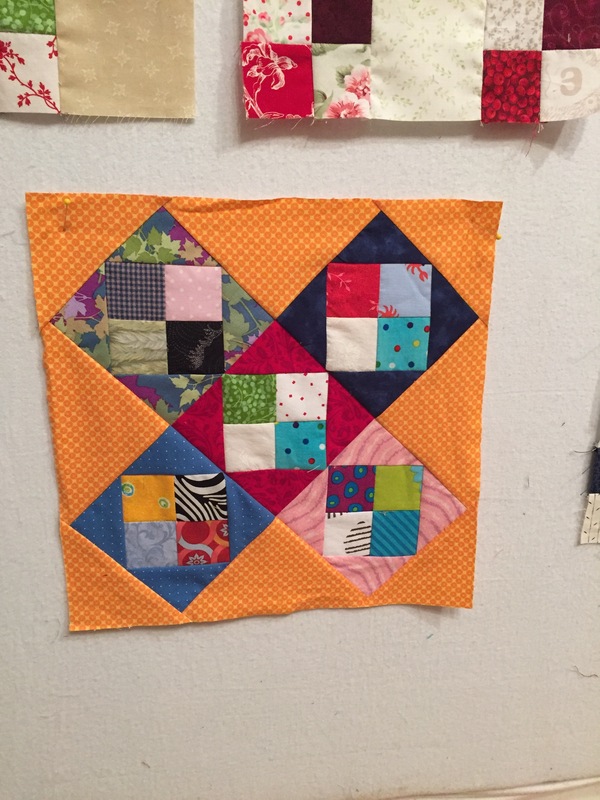 You may recall that I spent the summer making light/dark 4-patch blocks out of my 2-inch square scrap bin. Here’s one use of those four patches. There were about 6000 squares in that bin, and I wound up with about 1600 4-patch blocks. 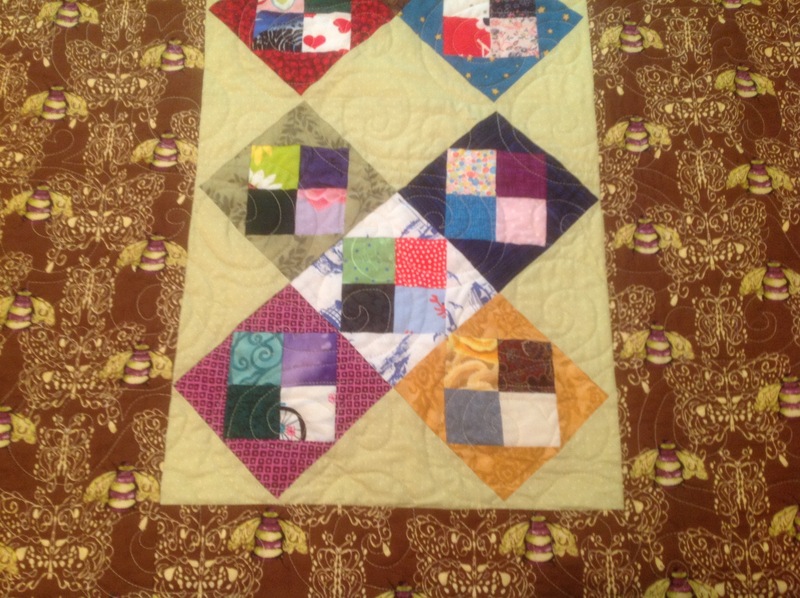 This pic of the quilt is not great, but I have fallen in love with it and will save it for a grandchild. Here is a block. 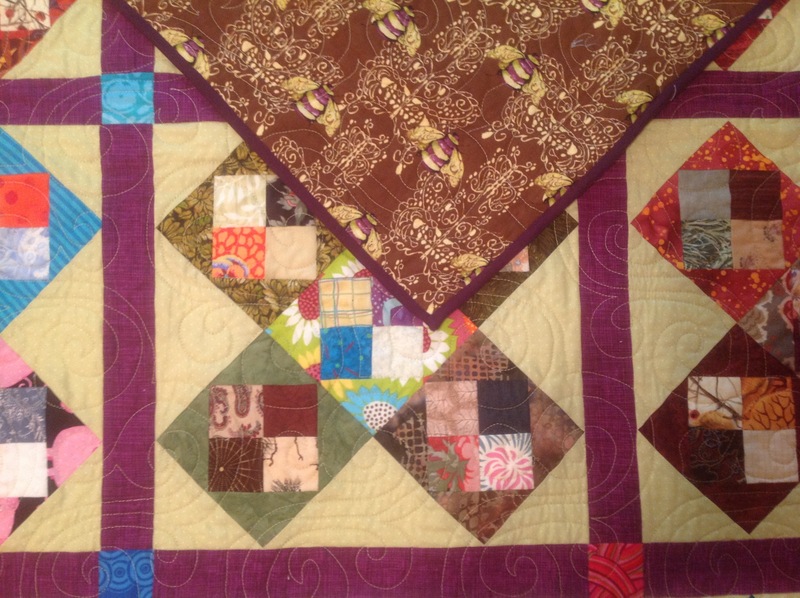 I quilted with limey green thread with the “Lovely” pantograph by Denise Schillenger. 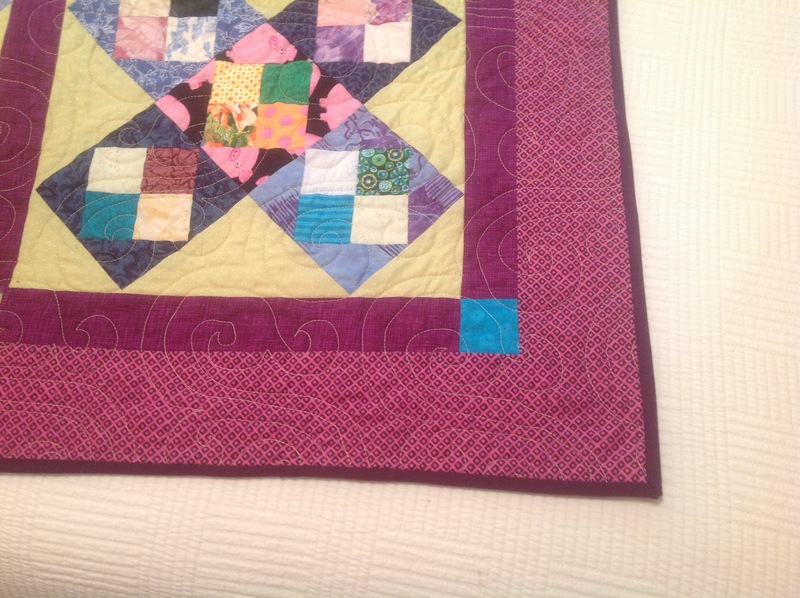 The backing has a strip of this block to make up for not having enough of the backing fabric. I can see red sashing, I think. Mercy!! 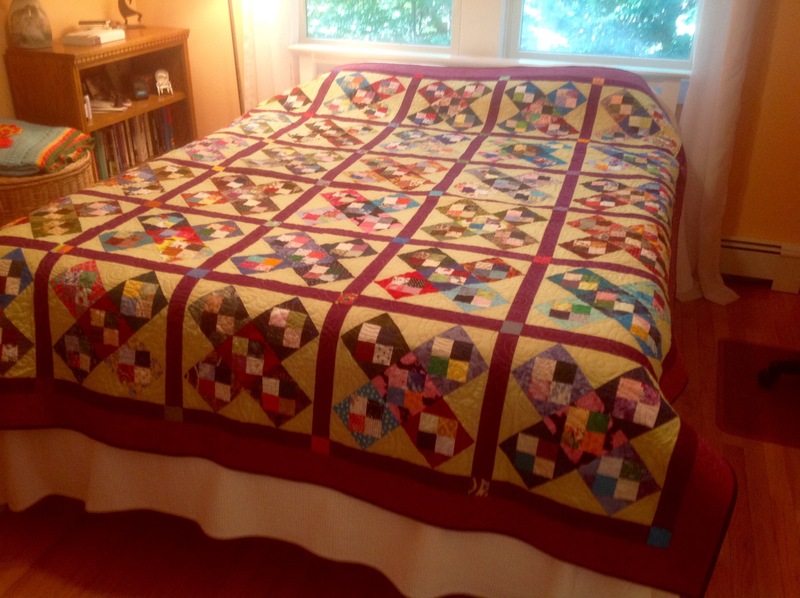 Louisa, as usual you have produced a beautiful quilt. I said it before you definitely have a good eye for colour. Looking forward to seeing it with the cheddar background. Thanks. 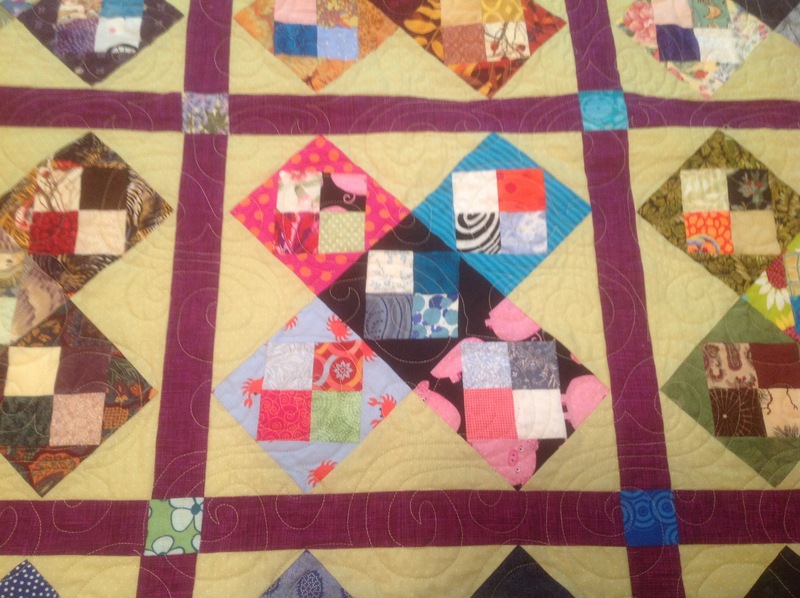 I’ve been working at making the four-patch square in a square blocks. Need about 20 more. They’re coming out really pretty.